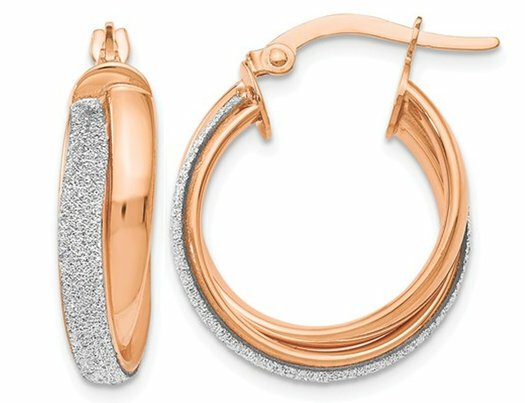 Beautiful 14 karat rose pink gold is shaped into polished hoop earrings with a unique glitter infused contrast. These unique hoop earrings just glimmer and glow. This item is 1.5 inches in length and 1 inch in width.